The all-new 2019 Acura RDX is a roomy 2-row, five-passenger crossover. For the new model year, Acura made the RDX longer and wider and increased its footprint substantially. This is an all-road crossover, not an off-roader built for mud and rocks. Acura positions its RDX in the premium segment, rather than the full-luxury market. Generally, this is where those shopping upscale can find the best value, but with the mainstream brands offering more and more content for less, that is now debatable. What isn't is that the new RDX is hard to top if one's priorities include a sporty ride and a modern feel. 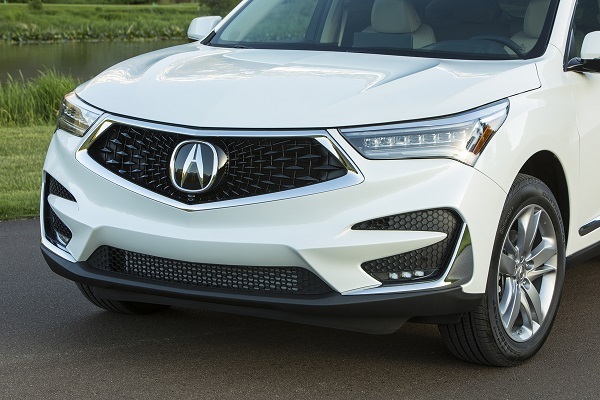 Acura took a beating from reviewers and fans a while back for its shield grill. Acura's looks, in general, had trended towards edgy-weird. This new RDX has a great new grill we think will please most and offend few. The roof in the rear is now of the "floating" style that Lexus and Nissan both adopted recently and is pleasing to the eye, if not unique. Along the sides, the RDX looks low and lean, despite having not lost any height. The long hood and sharp details make the RDX look less like an SUV than past models and more like something more modern. Inside, the RDX A-Spec we tested had fantastic red and black leather and microfiber suede seats that were easy on the eyes as well as comfy. The new twin-cockpit dash is very modern, while still incorporating wood tastefully. The center tunnel and dash stack are a bit futuristic, yet the volume knob is there. Classy yet sassy. Technology may be the RDX's strong and weak point. Let's start with the positives. The RDX A-Spec and the Advance Packages (think of these as the top two trims) have an incredible sound system called the Acura/ELS Studio 3D. This 16-speaker, 710-Watt audio system was created for Acura by Pioneer and 8-time Grammy Award-winning producer and engineer Elliot Scheiner. It is quite simply the best audio system on the market right now. The only systems we have recently tested in this league are the best by Bowers and Wilkins, and only in vehicles costing much more. There are speakers in the roof and the clarity and depth of the sound are hard to overstate. Even compressed media files from SiriusXM and Pandora sound outstanding. Uncompressed files played via a USB-connected device are simply astounding. Acura's infotainment menu is also very logical and one can customize the icons one sees on the home screen. An owner can customize many of the vehicle's systems and we love that adjustability. The top-trim has a large color head-up display and that too is customizable. The first downside is the interphase Acura has designed. The True TouchPad may well be the most innovative and unique system on the market today. The location of the items you can see on the screen are in the same relative location on the touchpad. We found the system difficult to adapt to, even after an instructional video and some practice. We prefer simpler to use touchscreens with no remote interphase. The second downside is that this unique interphase is ahead of Android Auto. So Acura plans to include it, but at this time, it is not part of the vehicle's systems. We would suggest shoppers carefully consider this system and decide if it is right for them. Acura's RDX gains 1 MPG for a combined 23 MPG when equipped with its SH-AWD system. Although Acura recommends Premium fuel, regular can be safely used. Both Lexus and BMW have higher MPG ratings for their closest models. 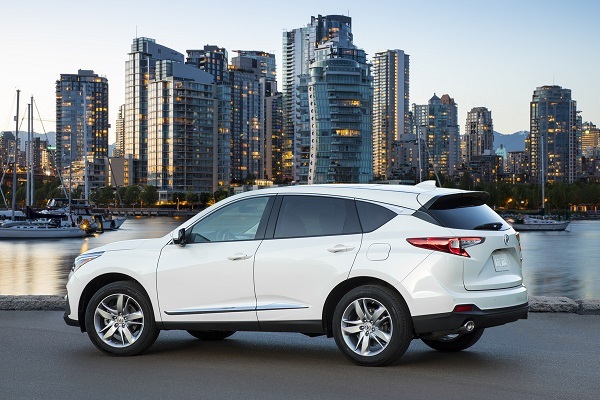 Consumer Reports gives the all-new RDX a respectable 4/5 rating for predicted reliability. As a brand, Acura ranks below the industry average for both initial quality and vehicle dependability according to J.D. Power. As a first year model, with a new drivetrain, all-new platform, new interior, and new infotainment system, we would expect slightly more than the usual problems one might expect from an Acura. The RDX for 2019 has earned the industry's very highest safety ranking, the Insurance Institute For Highway Safety's Top Safety Pick Plus designation. Even better, that rating applies to every RDX trim, not just top models. Some safety systems such as blind spot monitoring and rear cross traffic alert are included in an optional Tech Package. Here is where the new RDX really sets itself apart from prior generations and also its current competition. We found the new RDX to be brisk off the line and to have a sporty demeanor in all situations. There is not just one sport mode, but two. The new turbocharged engine provides a stronger pull from a stop and its 272 hp is more than enough for any real-world situation. Now longer and wider, and with a much greater wheelbase area, the new RDX feels solidly planted and very sporty. Like a quality sports sedan or coupe, more than a tall and tippy SUV. The RDX has a great road feel and it handles rough roads very well (and we tested the package with the firmest, lowest-profile tires). The new 2019 RDX is priced similarly to its peers in the premium two-row crossover segment. Base trims with just front-wheel drive start at about $39K. The top-trim Advance RDX with SH-AWD will be priced close to $50K. Given the size and content one gets from Acura, we feel these prices are a fair value. 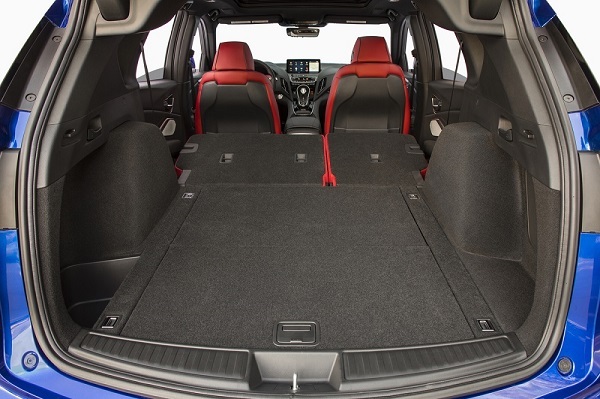 Shoppers looking for a lower-priced vehicle with similar interior space and a similar vibe should consider the Mazda CX-5's top trims. 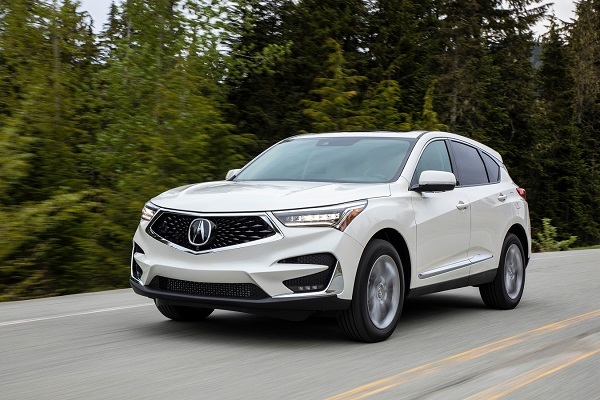 Acura's 2019 RDX is a new direction in many ways for the company. Although Acura tried to up the attitude with a turbocharged drivetrain in the past, we feel this new effort will have much more success. Lexus' NX is looking a bit behind the times by comparison to the new RDX from Acura. The BMW X3 is certainly a direct competitor and may be priced a bit higher. The real competition may come from unexpected brands like Lincoln and Mazda. Shoppers who want a roomy two-row crossover with a sporty flair and a modern upscale vibe will find it in the all-new 2019 Acura RDX. Interested to see how the 2019 Acura RDX ranks against similar cars in terms of key attributes? Here are the 2019 Acura RDX rankings for MPG, horsepower, torque, leg room, head room, shoulder room, hip room and so forth.